Please Note we are closed until 7 April all orders will be processed after that. Carbon Fibre Mast cranes for RG-65 Class and Marbleheads for conventional and Swing rigs! For these and other new items, keep a check in the New Products pages! Carbon Fibre Mast cranes, mast lifting ring and sail arms for RG-65 / IRSA65 Class! Sailing in Salt water? You need this! Corrosion x, coat your reciervers and servos in the liquid and it forms a protective membrane that conducts electricity but shields moisture, protects for a long time. Supplied in small dripper bottles the superior 'Speed X' version is also formulated for bearings, so if you have a gooseneck with bearings and sail in salt, you need this! Boom Vangs , Boom Kits and new fittings! VM01 Lightweight Vang from Varient is now available as a kit with round boom fittings pack,SailsEtc Vands to suit Rectangular vangs are now also available with 103I boom fitting to suit round booms. Some international marblehead racing and then more new stuff! New stocks of the highly popular Futaba 2HR have arrived along with recievers and parts! The New standard by Futaba. Features a lightweight handset, light reciever and 2 channels at a super low price! International One Metres Now Available And Made to Order. Available in Stock Now, IOMs with natural carbon foils, Click in rudder fitting, ready for immediate delivery! A picture tells a 1000 words so we are slowly updating our drawings of products for items we have here, gives you an idea of what they are like and some are pretty special! New From Carbonix the all Australian Made Katana Marblehead. Prepreg carbon and milled bronze speed machine. Dragon Force RG-65 and Affinity RG-65 hatches from Breaking Wind Boats as well as rig bags for DF-65, DF-95 and Affinitys. MAGNETIC ON/OFF SWITCH! Why drill a hole for a heavy switch that can be a leak point or a smaller one that gets knocked and turns your boat off when you can fit one of these! As used on our race boats! Pass a magnet over the position where the switch is mounted and the light turns on when the power does! All your RG-65 rigging parts to get you on the water! Many years old and have been hidden in the corner of a warehouse after the Importer of Star Yachts retired. AA - PARTS made in Italy , variable gooseneck and more! New Sail Corners for Large (IOM to A-Class) and smaller (RG-65 , Micro magics) available now, each comes with corners,reinforcement patches (complement the Spectre Speed Spots well) and batten end spots! 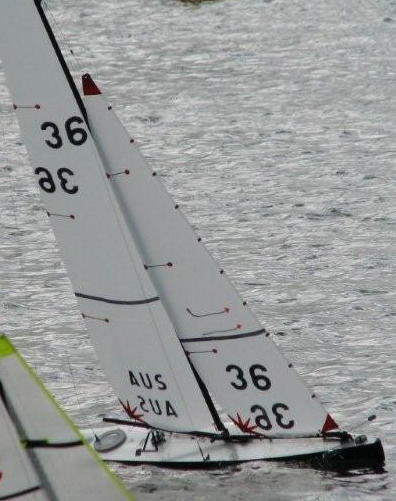 The "Wing Thing' Sail Makers Block (Made in Australia), coloured luff tape and matching speed spots for sail detailing. IOM Keel Bulbs from Craig Smith, Jeff Byerley (Mirage Yachts) , Rg-65 bulbs, Marblehead and 10R Bulbs! Keel Keepers bulb protectors , rg65 class logos for sails and bondable radio pots for recievers and batteries. 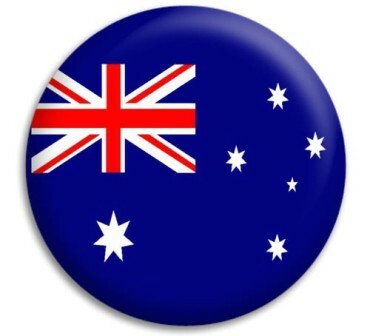 Boats - Classic Aussie kits, modern IOMs and RG-65 race boats. Rig Kits, Rig tools and new updated servo range. Bainbridge and Kikusui Double Sided Tapes for sail making Sail makers have different preferences, but generally the Kikusui is a more aggressive high strength tape. New removable rudder kit. literally the push rudder stock into the hull tube up into the fitting and click your rudder is fitted and locked in, removal is a breeze! Also pictured are various size rudder heads to suit from 2.5mm to 5mm rudder stocks. Pictured above, Sailsetc "No5" vang with new self locking bottle screw, RG-65 vang, Sailsetc boom ends, VM-01 lightweight boom vang and Sailsetc boom slides. Free Rg-65 Plans from Mark Dicks designer of the Dragon Force now available in plans section! All types of turn buckles , rudder quadrants, sheet leads and mast rams, a picture tells 1000 words! We have increased our range of Malin wire and rationalised the sizes. We now have #7 - 36Kg wire which is ideal for smaller classes, and have replaced the #8 wire with #9 - 49Kg which is slightly stronger and the best all round rigging wire for IOM and similar classes. We have also added #12 - 81Kg wire to our range, which is ideal for A Class and similar larger yachts. RG-65 parts arriving soon as above, Carbon Fibre Mast head crane, carbon fibre mainsail head swivel, lightweight rudder head, 5mm jib boom swivel, Boom vang, jib boom counter weight, boom bands, swing rig t piece, swing rig and normal mast bearing kit. Also , minature bowsies , lightweight cordage, boom fittings, 6 and 8 mm carbon fibre for masts and more! Whilst we cannot always help with the nut steering your boat, we can help with the steering nut and other bolts and fixtures. Tube from 1mm and wire for hooks and steering, new .9mm stainless wire just arrived. Hales Blocks , Made in Australia , all Stainless internals! Note:- Futaba have discontinued he T6K , they will no longer be available. NEW Futaba 2HR is a great radio set at a lower price with quality build and performace offered by Futaba. The Futaba 2HR is a great radio set at a lower price with quality build and performace offered by Futaba. Please Note - If you log in as a customer, you will be offered the shipping options at Checkout. - If you do not log in, and use the Paypal Express Button the shipping options can be selected after you have entered your details on the Paypal page.